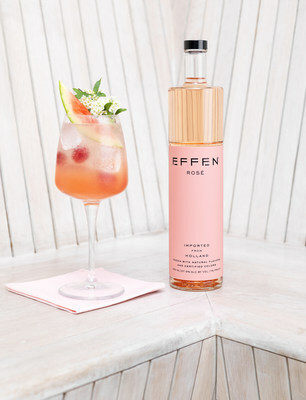 CHICAGO, April 10, 2019 /PRNewswire/ -- EFFEN® Vodka, a super-premium and smooth vodka, is proud to announce the addition of two new flavors to its lineup: EFFEN® Rosé and EFFEN® Yuzu Citrus. 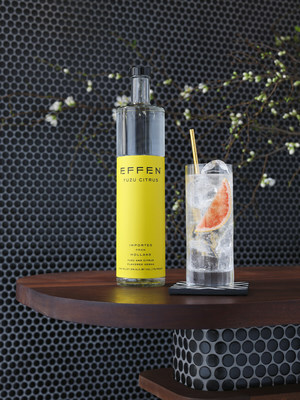 These new offerings celebrate two varied, dynamic flavor profiles that embody the clean, crisp taste fans love and expect from EFFEN Vodka. As a world leader in premium spirits, Beam Suntory inspires human connections. Consumers from all corners of the globe call for the company's brands, including the iconic Jim Beam and Maker's Mark bourbon brands, Suntory whisky Kakubin and Courvoisier cognac, as well as world renowned premium brands including Knob Creek, Basil Hayden's and Legent bourbon; Yamazaki, Hakushu, Hibiki and Toki Japanese whisky; Teacher's, Laphroaig and Bowmore Scotch whisky; Canadian Club whisky; Hornitos and Sauza tequila; EFFEN, Haku and Pinnacle vodka; Sipsmith and Roku gin; and Midori liqueur.